The figurative speech in all these passages should be noted: spirit like water is a cleansing agent (1:33); spirit like breath is a vital element (20:22); spirit as teaching, guiding, defending, is a divine power (chs. 14-16). Unifying them all is surely the concept of a Christlike power that is finally in the control of God, the heavenly Father.... 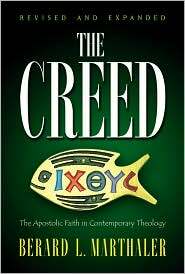 The Gospel material is more readily aligned with ideas of supernatural powers than with the Christian doctrine of the Third Person of the Blessed Trinity. 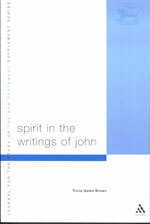 On the other hand, the Spirit has also been conceived of as a "personal divine being distinct from and in some degree independent of God.” For example, Stephen Smalley asserts that "the Spirit-Paraclete ... in John's Gospel is understood as personal, indeed, as a person.” A substantial impetus for such an understanding of the Spirit has been provided by analysis of various figures proposed as patterns for the portrayal of the Johannine Paraclete, including particularly prophetic figures, such as Elijah and Elisha, and angelic figures, such as the archangel Michael or the interpreting angel of apocalyptic. 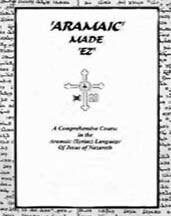 On this model the Spirit-Paraclete can be conceived of something like an angel, a quasi-independent figure summoned by God to carry out particular divine purposes or to complete a certain mission in the world. 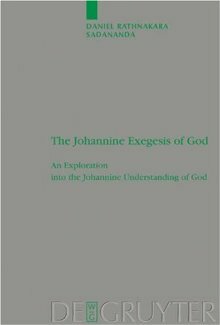 One can still draw conclusions about God's work in the world, but the nature of God's presence within the world, and especially the reality of the Spirit itself and ultimately the identity of God, become more complex since "the Spirit" cannot simply be equated with God's power of God's own presence. Most intriguing is the way in which these two different ways of conceiving the role or identity of the Spirit find their support in different portions of the Gospel. The terms Paraclete, Spirit of Truth, and Holy Spirit appear almost exclusively in the so-called Farewell Discourses (chs. 14-17). 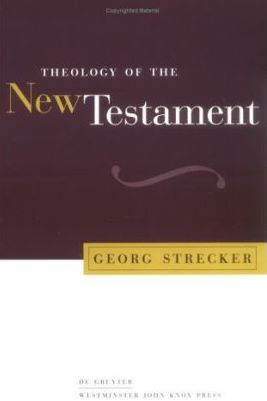 In the narrative portions of the Gospels (chs. 1-12, 18-21), only the simple "Spirit" appears. Moreover, the differences in terminology correspond to differences in the primary functions allotted to the "spirit" and the "Paraclete.” As W.G. 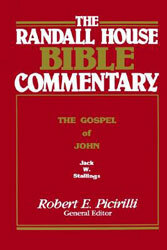 Kummel comments, "The effects of the Spirit and of the Paraclete are not altogether described as the same; cf., on the one hand, "to be born of water and Spirit" and the Spirit as the source of life in the believer, and on the other hand, teaching, recalling, testifying, and convicting as functions of the Paraclete.” Thus in the narrative portions of the Gospel, Jesus is said to be the one who will baptize "with" or "by" the Holy Spirit, where the Spirit, described on analogy with "water," is conceived of virtually as a substance poured out upon believers. One must be "born of the Spirit" (3:5-6), equivalent to being born "from above," through the activity of God. God brings life through the power of the Spirit, a thought certainly in keeping both with the biblical tradition of the life-giving Spirit, such as Ezekiel's prophecy of the "dry bones" brought to life by the Spirit (Ezek. 37:14), and with the Johannine conception of the Spirit as a life-giving force (3:6; 6:63). These and other passages in John have suggested that the Holy Spirit is God's power, particularly manifested as God's life-giving power. 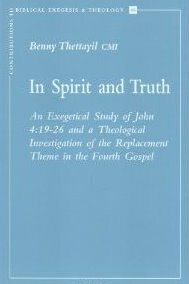 The passages that provide the strongest evidence for conceiving of the Spirit as a distinct figure, an independent agent or actor, are all found in the Farewell Discourses, chapters 14-17 of the Gospel (14:16-17, 26; 15:26; 16:7, 3). 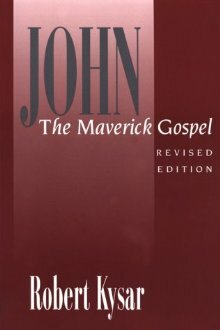 What is peculiar to this group of passages is not only their location in those discourses, but that here, and here alone, is the Spirit called the "Paraclete.” The functions attributed to the Paraclete differ markedly from those attributed to the Spirit elsewhere in John. The dominant description of the Spirit-Paraclete is as a teacher and guide who will be with believers. Thus the Spirit teaches (14:26; cf. 1 John 2:27); reminds disciples of Jesus' words (14:26); testifies on Jesus' behalf (15:26); accuses or convicts the world (16:8-11); and speaks, declares, and glorifies Jesus (16:13). The Spirit is also described as another paraclete, who in some way can be set alongside Jesus. Moreover, the Spirit is "sent" by God (14:26; 15:26; 16:7), language that calls to mind the sending of prophets and of course of Jesus himself. 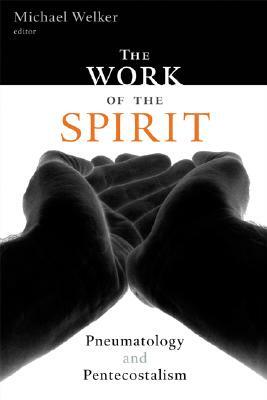 The Spirit "comes from" God (15:26; 16:7, 13). The Spirit can be "received" or "welcomed," as Jesus was received; believers are said to "know" and, most peculiarly, to "see" the Spirit (14:16-17). 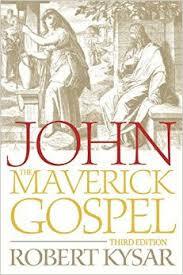 "John's gospel draws significant parallels between the sending of the Spirit and the sending of the disciples. The functions assigned to the Paraclete are precisely the functions assigned by the gospel to the disciples. We have no exact synonym for the term Parakletos as used by John. The word really has no Hebrew equivalent, although both John and Luke are clearly influenced by the Isaian portrayal of God as a mother who comforts her children. The Greek term common to John's milieu had a variety of distinct meanings, all of which John probably intended to evoke. 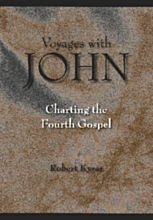 Helpful insight can be gained by examining briefly key passages in the Farewell Discourses of the fourth gospel, which contains five Paraclete sayings (14:15-17; 14:25-26; 15:26-27; 16:7-11; 16:12-14). The Johannine Paraclete is described as Advocate/ Counselor, Intercessor/ Mediator, Comforter/ Consoler, and Exhorter/ Stimulator/ Life-Giver. In ancient Israel a judge, sometimes the king, used to act as an attorney endeavouring to bring justice to the oppressed. In Isaiah, we saw Yahweh as Advocate for Israel; in John, the Paraclete takes on that role in two ways. First, the Paraclete pleads Jesus' case, defending him and acting as a witness at his trial (John 14:16). The defense's task is to testify that Jesus is the true victor. The Paraclete also serves as a prosecuting attorney who puts the world on trial, convicting it of sin (16:7-11). During Jesus' life, his very presence had highlighted the contrast between his words and deeds and the dismal reality of a sinful world. When he leaves, the Paraclete will continue the critical ministry of convicting the world of its sin, its self-righteousness, and its unbelief or, as John puts it, "sin, righteousness, and judgment"—three basic motifs of prophetic proclamation. These things I have spoken to you, while abiding with you. Because the Paraclete will pass on to them the message of Jesus and explain to them what Jesus meant, his disciples will be able to perceive more than was possible for Jesus' contemporaries. Indeed, the Paraclete will empower disciples faithfully to carry on their own ministry as true witness/prophets (15:26-27). The Paraclete will also disclose to them what is to come, another prophetic aspect of the Paraclete's role. Jesus' spirit engages in no rote passing on of Jesus' message, however. 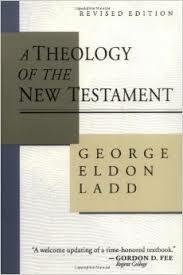 Rather, the nature of prophecy compels the Paraclete to alter, amend, and even authorize "new words of Jesus for new and unprecedented times.” This is strong scriptural reassurance, backing the quest of today's feminist theologians for "new words of Jesus" for our times. John concludes his gospel with a dynamic outward impulse: the young Christian community is not to look backward but to move into the future. In a certain sense, the community is living in God's future even now. Jesus himself was sent to reveal God—the Comforter-God who cares for the poor and sends forth prophets to carry on God's mission. 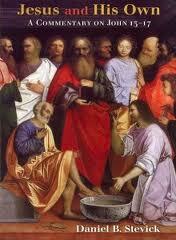 In John's gospel, Jesus too sends forth disciples. Now disciples are sent to continue God's mission of bestowing comfort/salvation to all in the name of Jesus Christ. An awakening to all of them, a view that by reason of Jesus choice of the Paraclete is long due. Dear Jagbir: In my early days of seeking I found the gnostics and we were meditating and merging. 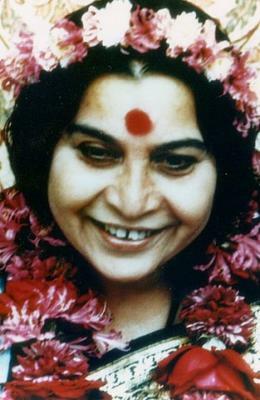 When I came to Sahaja, hearing Shri Mataji I heard her and She was just saying the same: it need to be born in you. Somehow during my stay in Sahaja it changed and became pray instead or merge and some information I was giving while I was conducting classes for newcomers I started realizing I was lying to them or at least not being truthfull, I felt that I was going back instead of forward. So, thank you for making this point so important. 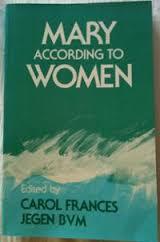 But there is nothing more important that you pointing us to the PRIMORDIAL MOTHER. 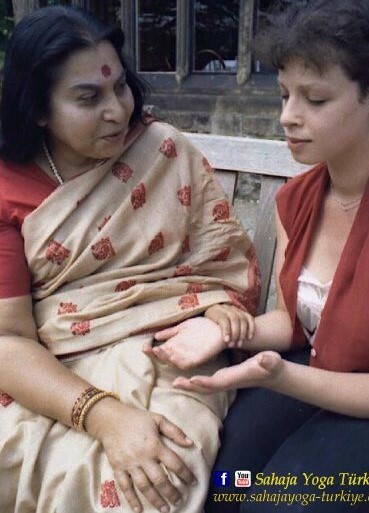 Thank you for this initial realization that the PRIMORDIAL MOTHER should become the focus of our life and meditation rather than Shri Mataji, all the more since She passed away 2011. And Shri Mataji has always talked about the DIVINE MOTHER within, our own individual MOTHER who is one and the same for all. And SHE exists. 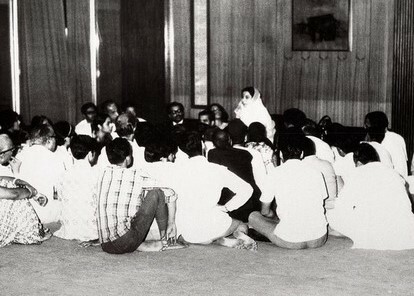 But Shri Mataji was the full and final incarnation of the PRIMORDIAL MOTHER and arrived at the most crucial time in the history - as the promised Paraclete who completes Jesus' Good News of the Resurrection, Last Judgment, and life eternal in the Kingdom of God. 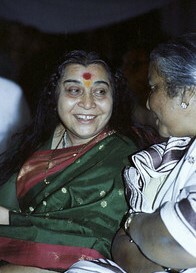 However, Shri Mataji's arrival is far more than meets the eye .................... it should actually be "far more than meets the mind"! It is so: Since life eternal and entrance into the Kingdom of God solely rests upon Jesus, His declaration that the Paraclete, after completing Her mission, will remain within for all times has one overriding caveat - the Paraclete/Holy Spirit without will be the HOLY SPIRIT within for all times. 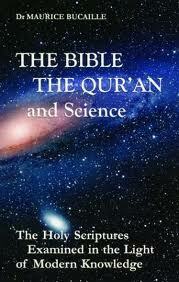 Any Jew, Christian, Muslim, Hindu, Buddhist, Sikh will have to unconditionally accept HER. His promised Paraclete without is now the HOLY SPIRIT within. All are awakened to the PRIMORDIAL MOTHER ....................................... and SHE triumphs again after millennia of being reduced to a footnote in history. The return to the PRIMORDIAL MOTHER, both within and without, will commence the most comforting and vibrant and joyful of journeys if you are spiritually inclined. There is nothing comparable to this new awakening to HER presence within, HER presence without. Even a drop of dew on a blade of grass will bring comfort, peace, and joy ........................... and the infinite experiences of eternal life in this infinite Universe lies ahead. Thus I have to give evidence of HER existence so that this initial awakening continues through our entire lives ............................... an awakening to all other seekers hopefully, a view that by reason of Jesus choice of the feminine Paraclete is long due. Two thousand years ago the Savior single-handedly defied a violent, misogynistic, patriarchal society and held women to high esteem. 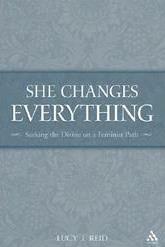 They responded with greater faith and fearlessness than their male counterparts. They will, again, respond with the coming awakening! Amen.